Genuinely interested in the medical industry, Susan Lynn Mogus has devoted her entire career to pursuing her passions and advancing the field. She started out by earning a Bachelor of Science in medical technology from Slippery Rock University in Pennsylvania in 1984 and accreditation as a certified medical technologist from the American Society for Clinical Pathology. Now an integral part of the Trinitas Regional Medical Center, which offers both inpatient and outpatient medical services, Ms. Mogus lends three decades of expertise in chemistry and laboratory procedures to helping others achieve the best in health care. In her current role as the lead technologist, she is responsible for performing core laboratory duties, including chemistry, hematology, and urinalysis, and for conducting rapid testing for HIV and the respiratory syncytial virus. Prior to this position, Ms. Mogus had the opportunity to run her own stat lab, overseeing all functions of the lab for the hospital. 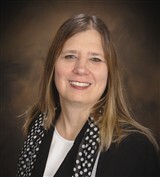 She has written CAP procedures, and has been involved with preparing and conducting inspections. Additionally, Ms. Mogus garnered experience in all aspects of safety, has written MSDS manuals, and demonstrated a strong commitment to research. She attributes her success and longevity to her caring nature and dedication to ensuring patients receive the highest quality of health care possible. For the past few years, Ms. Mogus has used her extensive background to train and mentor the younger generations. She understands the need to help others learn what is necessary to do their job correctly, making the role a natural fit. Ms. Mogus also frequently uses her knowledge to help out in her community, and for the past three years, has lent her services to supporting and raising funds for Hockey Kicks Cancer, which benefits the Leukemia and Lymphoma Society. To ensure she remains abreast of trends and developments in her field, she maintains affiliation with the American Society for Clinical Pathology. Looking to the future, Ms. Mogus hopes to continue to grow in the fields of health care and research. When she has spare time, she enjoys reading and hockey.